Wanted to give a huge thanks to my wonderful sister in law for giving Princey and I the nudge we needed to finally tie the knot!!!! <3 Mwah! 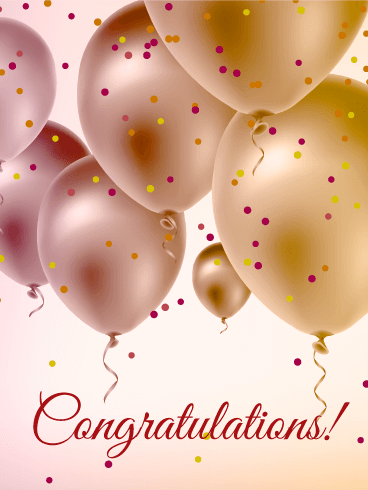 I want to offer and post my Congratulations to DavidLee and Anerushka!!! 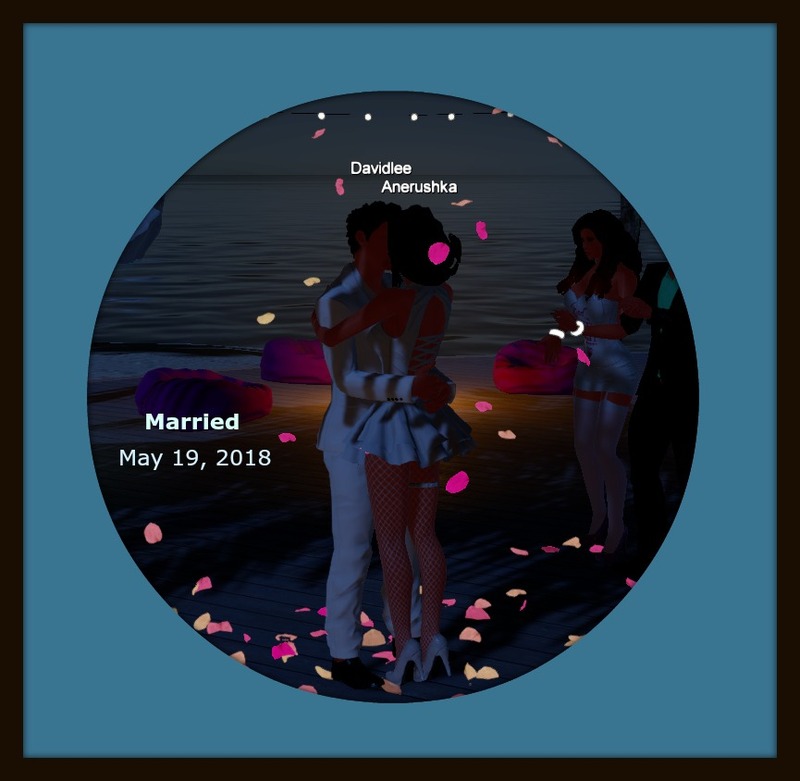 Congratulations to you both - DavidLee and Anerushka. I wish you both the very best. May 20th The TWO of them Finally TIED THE KNOT. I made sure of it. I glued Princey's feet to the floor and told him basically that he couldn't leave until he married that girl!! I was both privileged and honored to be part of this special day. 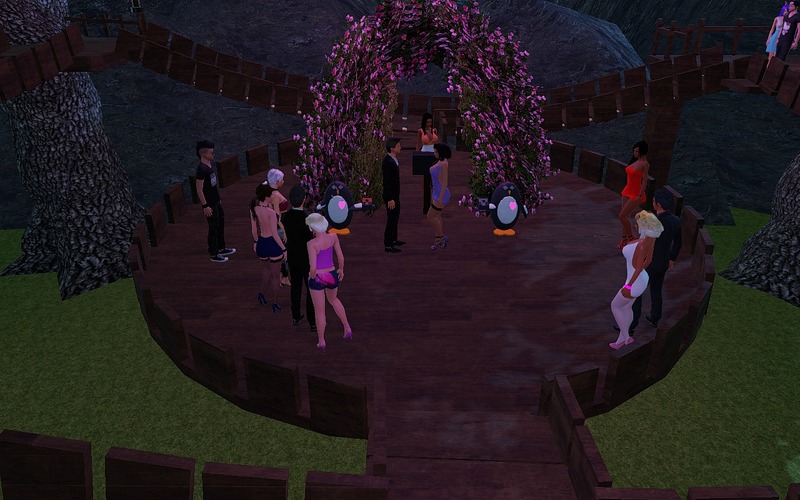 Carus and MacyD have been together as a Married couple here in 3DX land for a year. Macy and I, (She being my partner in crime as well as one of my besties) planned all this as a surprise for Carus. And truthfully he was surprised, although she did tell him the night before what was about to happen. He had NO idea the venue, room or what was planned for. I have to say, that whole thing brought me to tears. 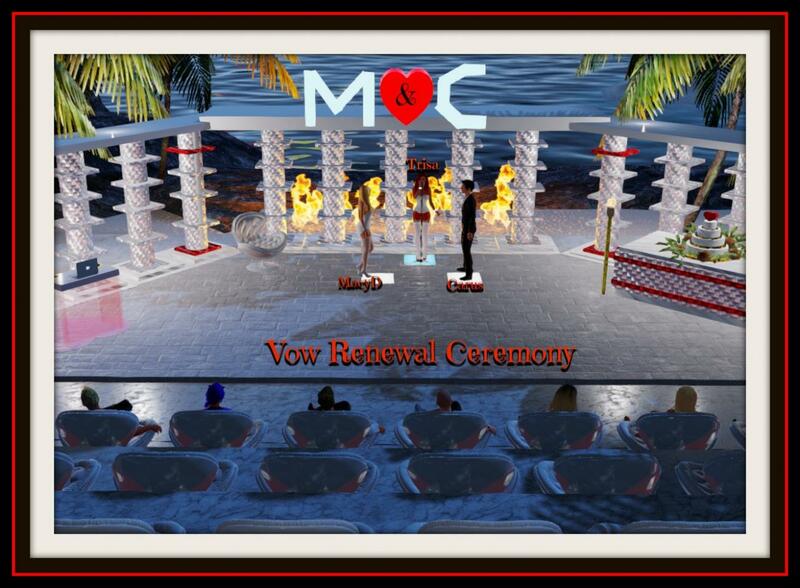 It was so beautiful and real to hear them take their vows of renewal, all the while the special music MacyD had chosen from their year together, in the background. They shared how they met, what they thought initially and then the things since that first few days. OUTSTANDING and Moving to all there. CONGRATULATIONS CARUS AND MACYD. You inspire us all! congrats on all the Marriages and graduations! Raevaen just celebrated a big graduation too! CONGRATS!!! Congrats to all the other couples as well. Yes Congratulations to Raevaen, & Oolisa for your graduations from uppper level studies!!! THAT IS HUGE Accomplishment! KUDOS to you for all your hard work and dedication. This is a really great thread..happy and uplifting..TY for starting it trisa! I married the love of my life and we have decided to take our relationship to RL. Braedon and I married 3 months ago but met and started dating a year ago off and on,when he could be here. Our next step is to divorce and remarry only he and Mykhel ,my other Avi will be marrying. 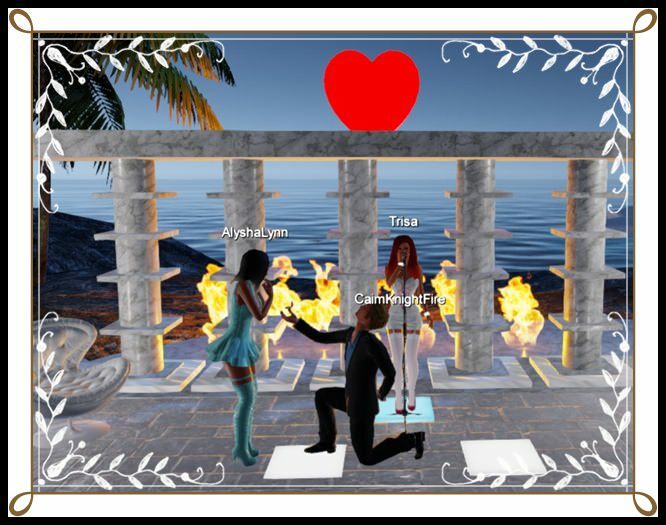 On Monday August 6th Deric proposed to Seamyst and she said "YES" and they eloped! 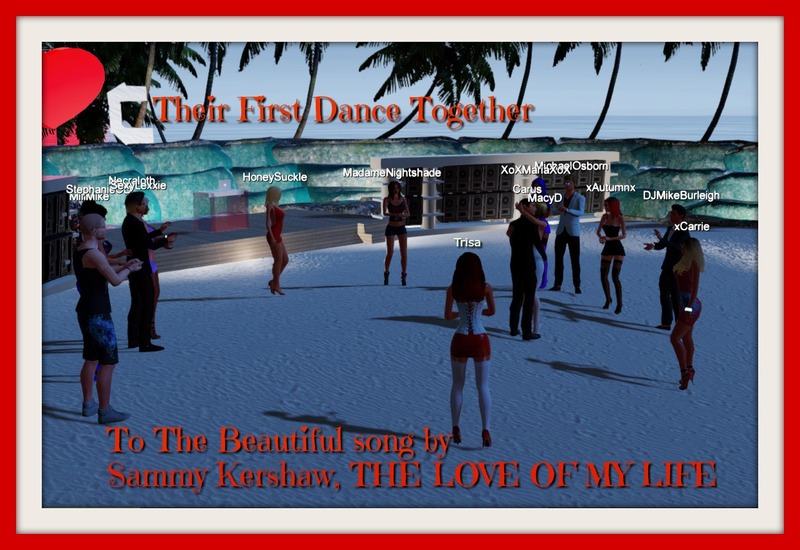 There will be a special party for them in order to Celebrate and Greet the Happy Couple on This Wednesday August the 8th At 5:30 PM EASTERN STANDARD TIME! CONGRATULATIONS Deric and Sis Mysti! BrandiWine has published her first Haiku Poem and her first short story on Literotica. It would be nice if we all supported her here and gave her a 5 star rating. Well Done Brandi and congratulations on your achievement. 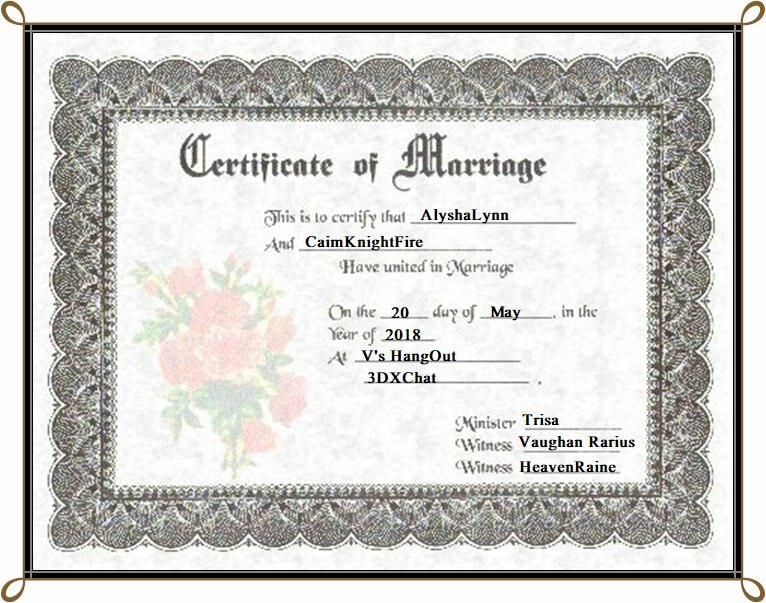 Congratulations on the Marriage of DarkDeviant and AmethystRose, Today the 31st Day of August, 2018. The wedding was performed by Shaylee. The Wedding was held above ground, in a lovely bow of the tree, on a platform where Two Penguins were the ringbearers neath a beautiful arch of pink, rose and fushia flowers.